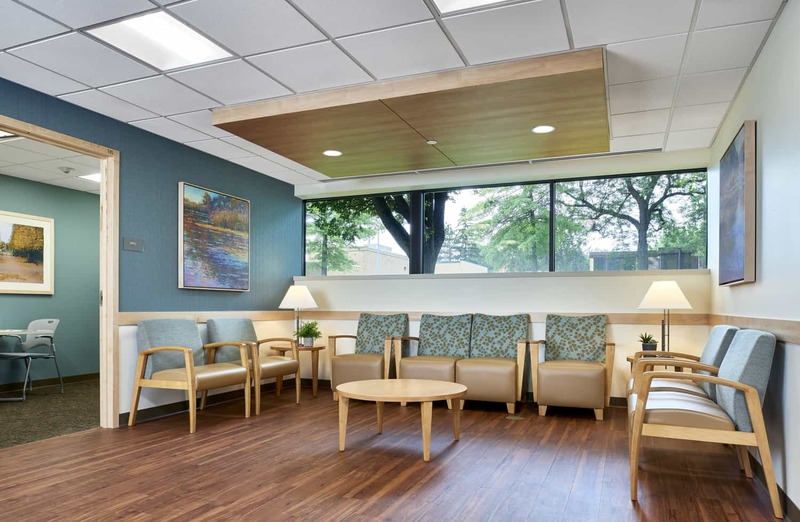 If you came to this web page looking to refer a client or access Afton Place services, please call Afton Place directly at 651.254.0500 or click through to learn more about residential mental health services offered by HealthPartners and Regions Hospital. 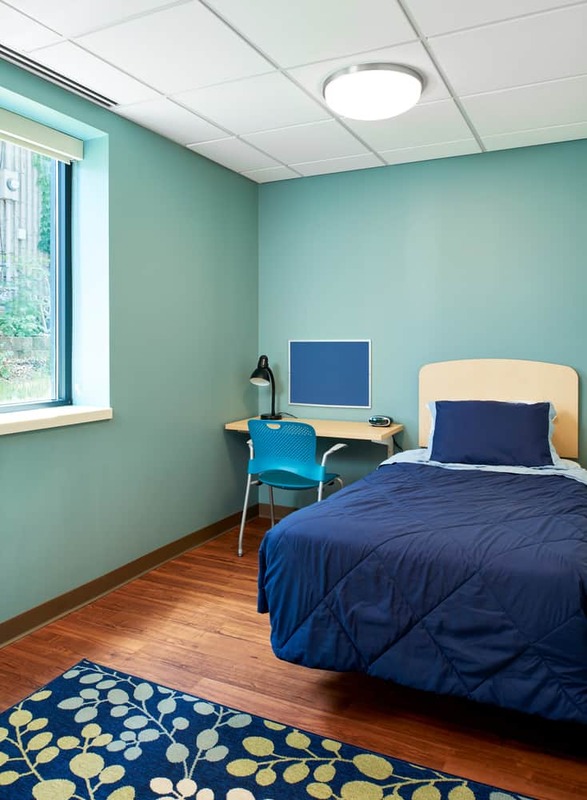 The Intensive Residential Treatment Services within Afton Place expand Regions’ variety of mental health treatment programs. 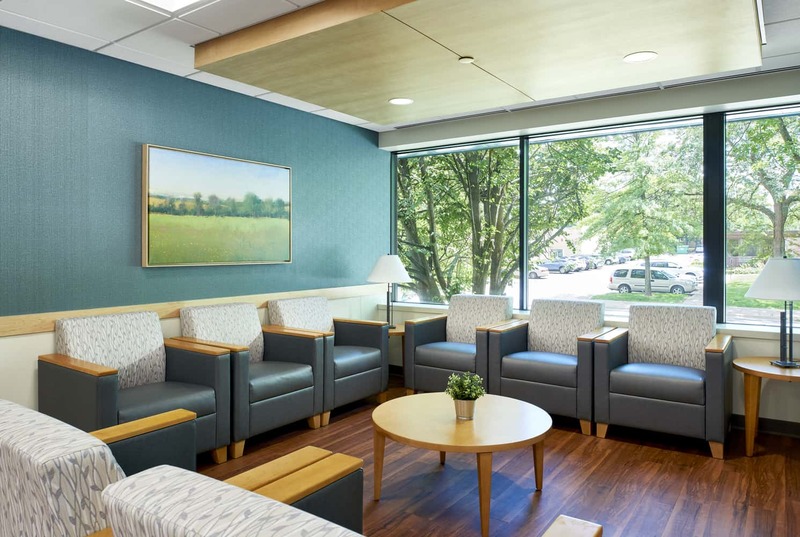 As a new 24/7 housing facility for patients requiring care for up to 90 days, Afton Place supports patients on their journey transitioning back into the community. 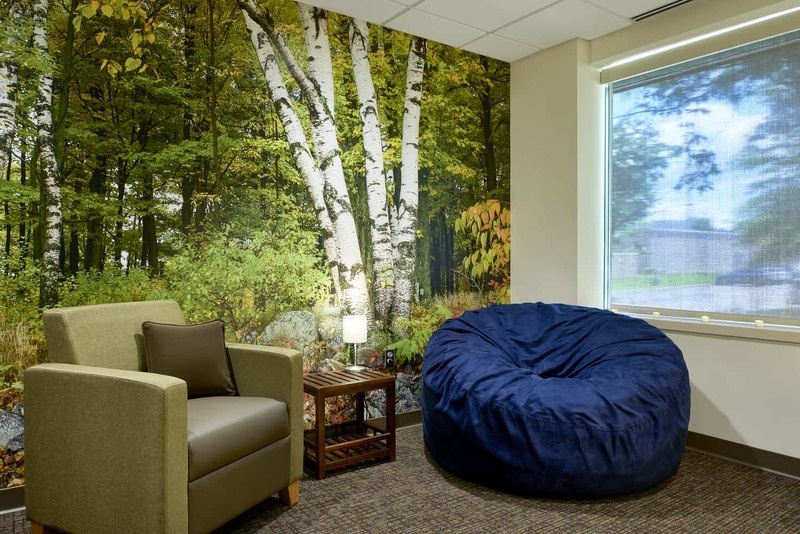 Serving up to 16 patients at a time, Afton Place is the first mental health transitional care residence in Minnesota to offer sensory integration as part of its programming. 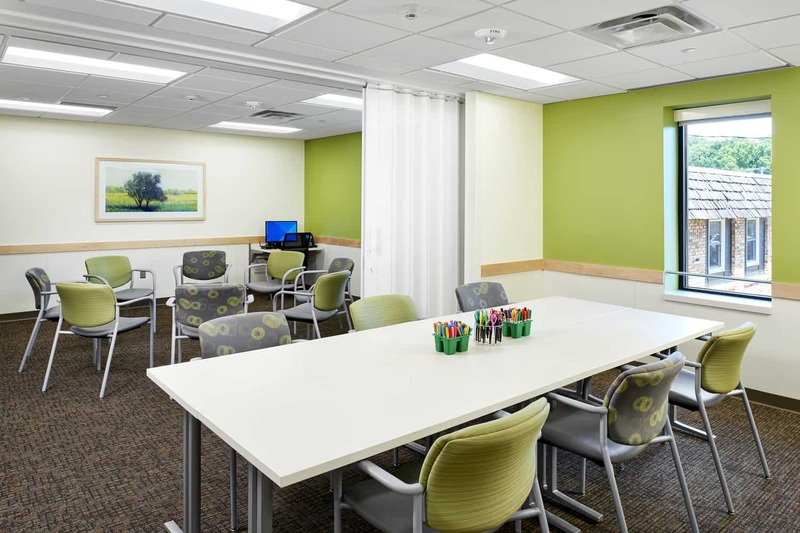 The sensory room is designed for patients to practice behavioral exercises and utilize cognitive relaxation tools — such as wall murals, a white noise machine, and dimmable lighting — which can be implemented in patients’ homes to continue treatment post-residency. The program also offers medical services for those with co-occurring diseases such as diabetes, COPD, high blood pressure, cardiovascular disease, and drug and alcohol addiction. 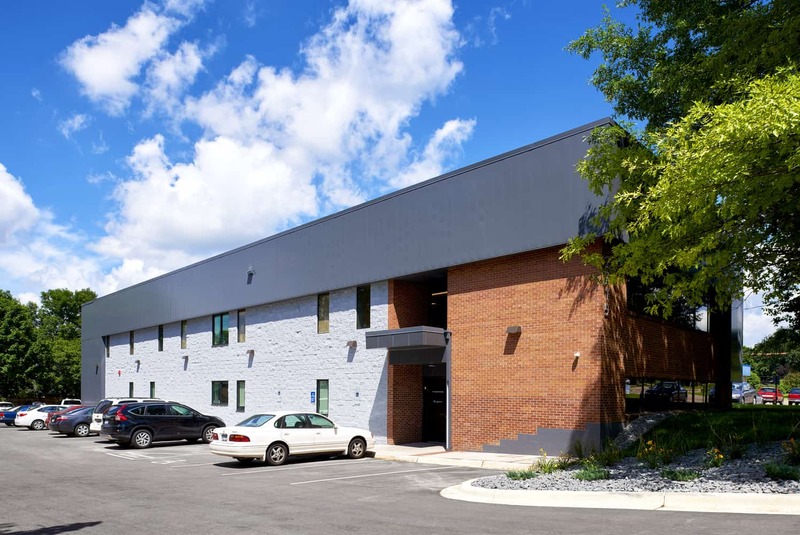 The renovated commercial building brings life back into a facility that had been empty for several years. 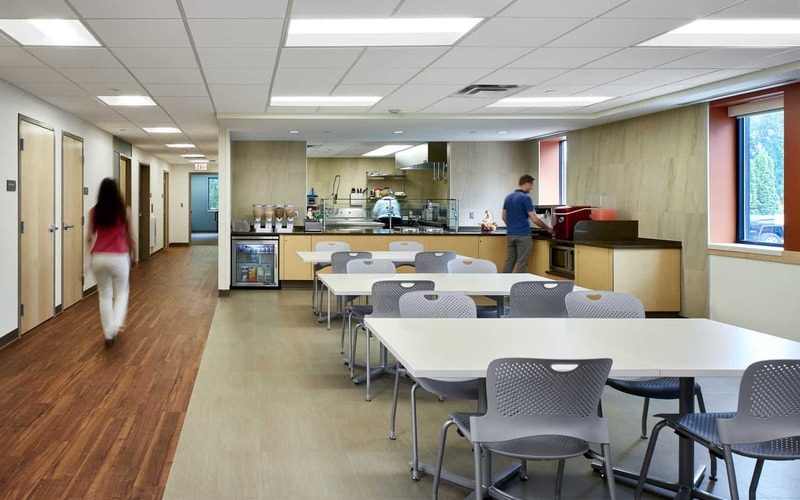 Nearly every building component was brought up to code for health care, creating an almost new facility that meets HealthPartners’ brand standards. 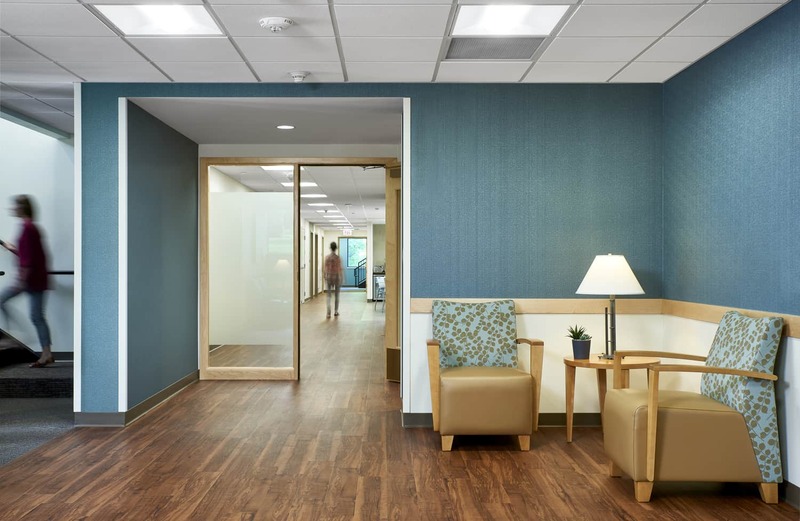 With the support of the city and neighborhood, Afton Place embraces patients with hope and safety during their transitional care. Size: 11,000 gross sq. ft.